The Boeing 747-8 is one of the new high-capacity 747s that offer airlines the lowest operating costs and best economics of any large aircraft. It continues the leadership of the 747 family in the world airline market. 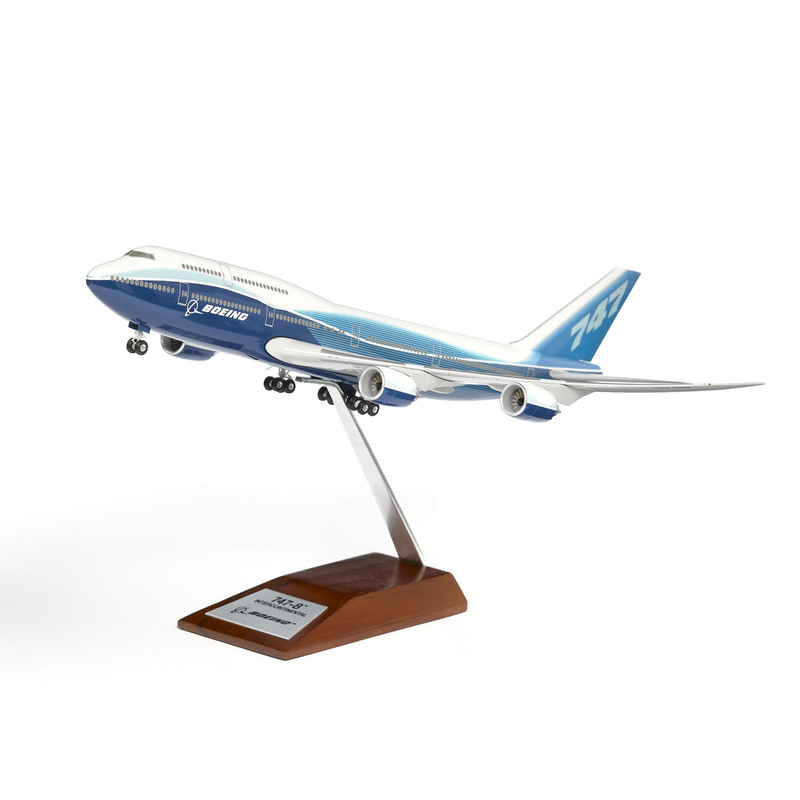 This reproduction of the 747-8 is produced from Boeing-approved scale drawings. Made of precision molded plastic with a weighted body and special wooden-base stand featuring an engraved plaque. Finished in a high-luster, pearlescent finish and accurate decals. Some assembly required.